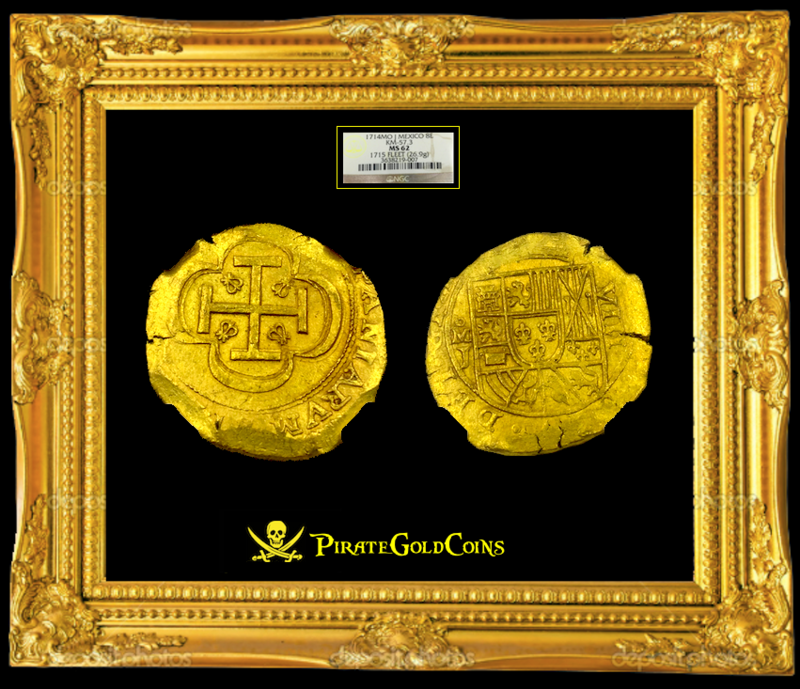 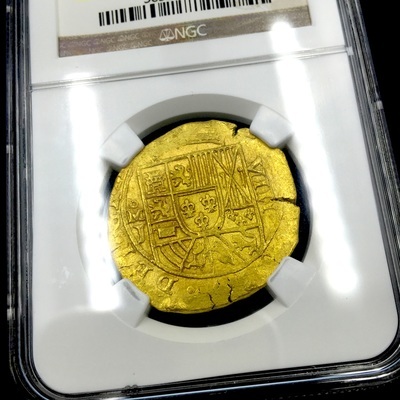 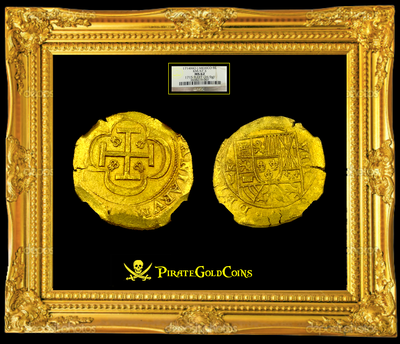 This extremely large FLEET Gold Doubloon planchet (full 26.9 gm) displays an exquisite Shield with incredible details! 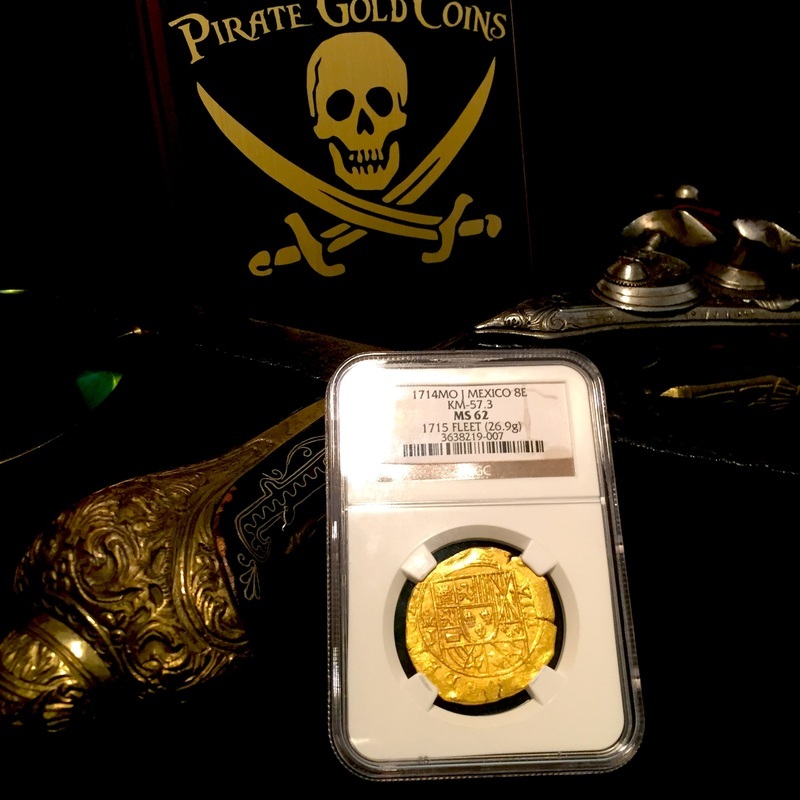 Designated on grade tab “1715 FLEET” and in Full Mint State – 62 GRADE! 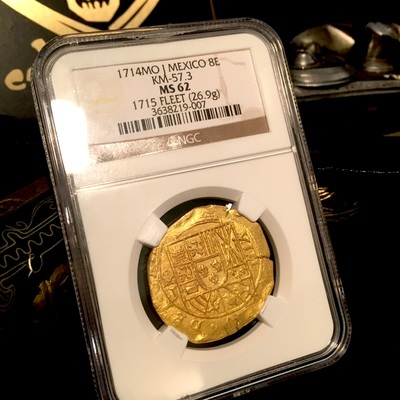 Total population of ONLY 18, only a couple higher than this lofty MS 62! The denomination (XIII) to the right of the Shield is generally not legible or even present. 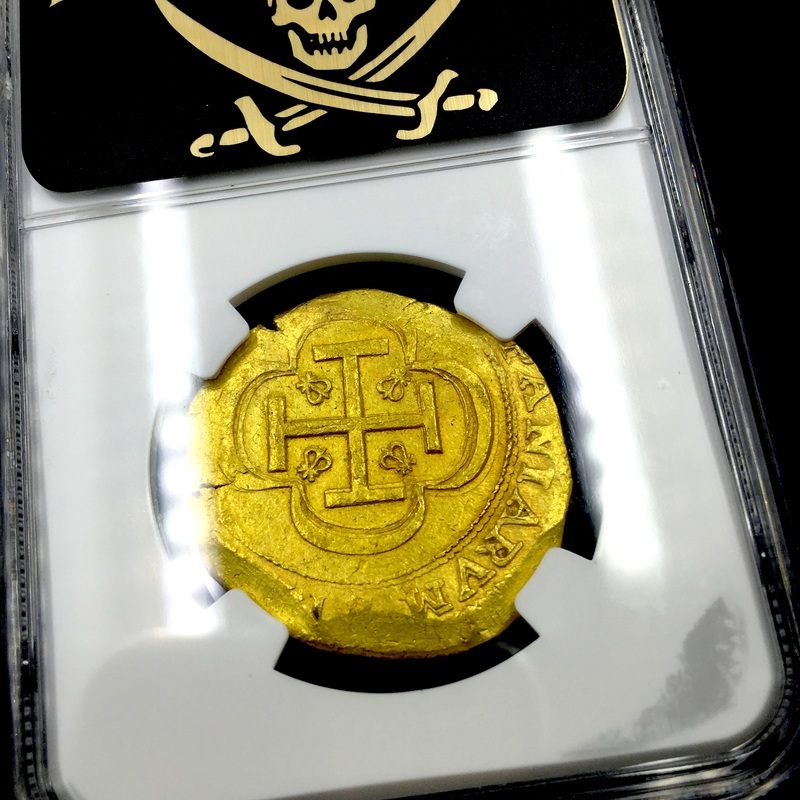 The reverse side (CROSS) has NO doubling and is 100%, with legends of HISPANIARUM present as well. 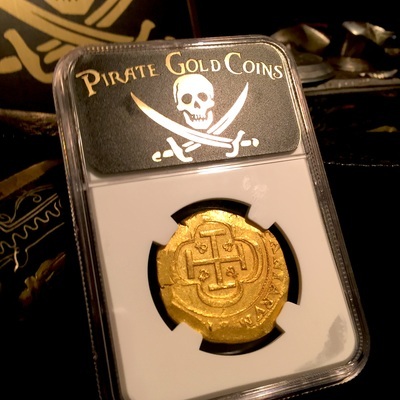 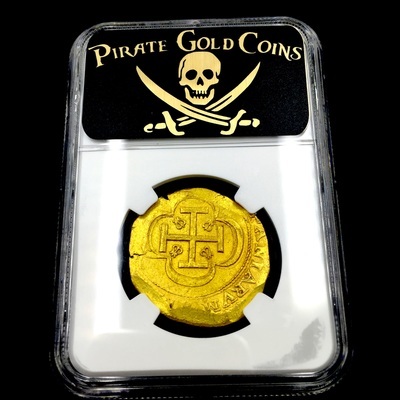 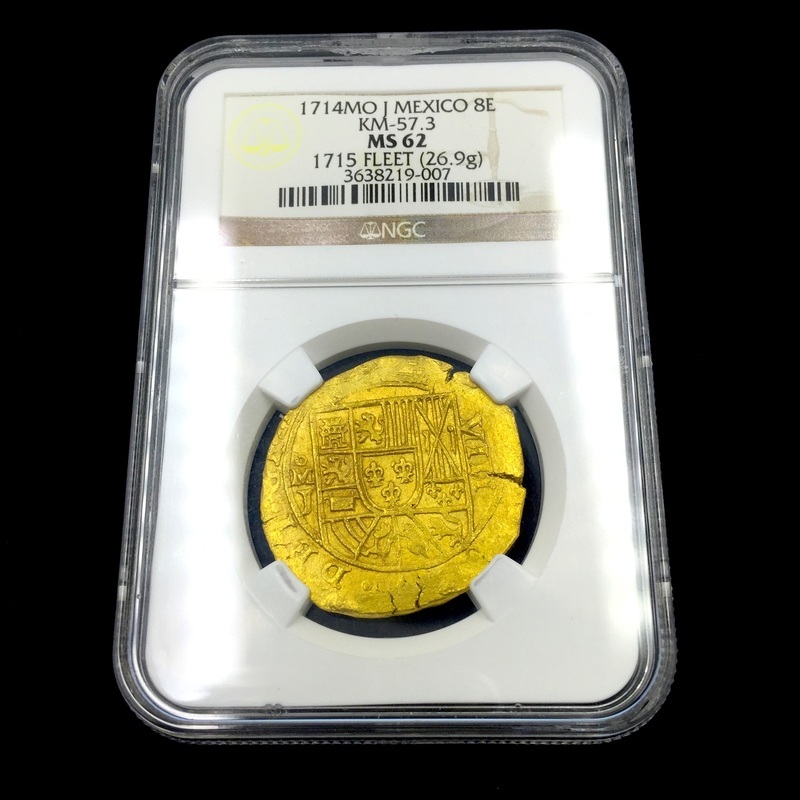 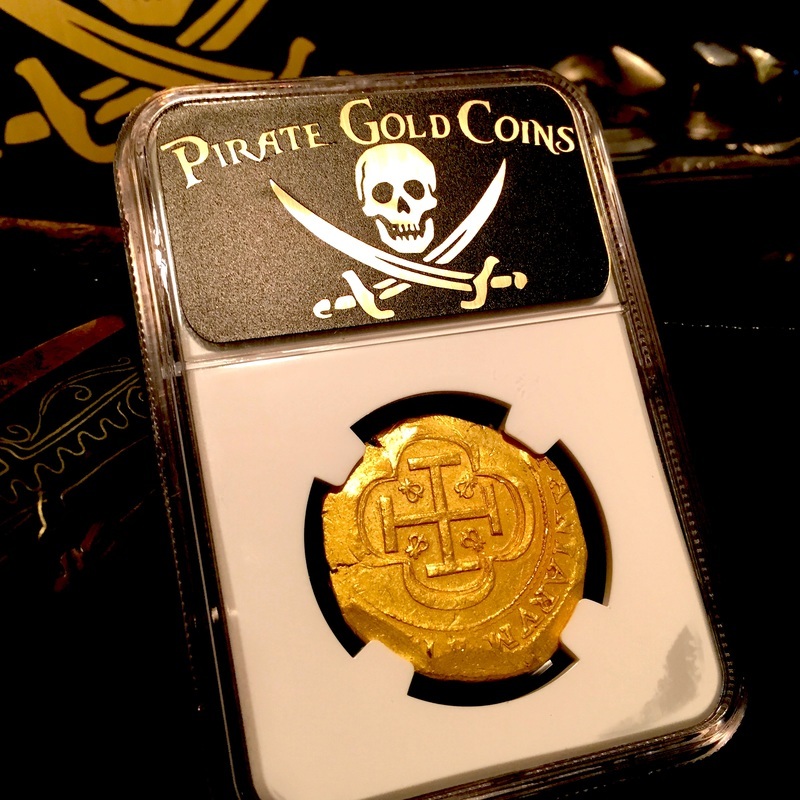 The color on this Gold Doubloon is incredible – very bright high carat quality that gives it that Australian gold look.